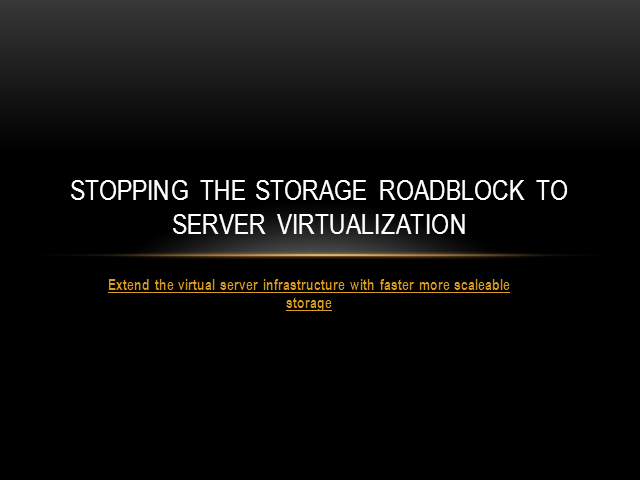 An increasing number of server virtualization projects are stalled and storage is one of the main culprits. Most server virtualization projects start with great success, even using traditional shared storage technologies. The challenge is that as the environment grows and virtual machine density (the number of virtual machines per physical host) increases the virtual environment creates an I/O mix master that quickly creates performance and capacity problems that cause most initial shared storage implementations to be the roadblock to further realization of server virtualization’s rollout.